This masterclass is aimed at committed poets aiming to further develop their writing. The week will feature a group workshop each morning to prompt the creation of new poems, private writing time, and free afternoons for writing or gaining inspiration from Tŷ Newydd’s beautiful surroundings. There will also be two afternoon group workshops to discuss submitted texts, daily meetings for smaller groups to discuss their work and offer mutual support, evening readings by the tutors and a visiting poet, and finally, a celebratory evening of readings. This course will challenge and inspire writers looking to develop the shape, music and imaginative possibilities of their poetry. So that everyone may benefit from a high level of critical discussion and participation, writers will be selected for this Masterclass based on a sample of their work. Send 6 poems in one document via email to tynewydd@literaturewales.org by Friday 31 August 2019. Make sure that all your work includes your name and contact details and is marked “Autumn Poetry Masterclass Application”. If unable to send your poems by email, please send to Tŷ Newydd in the post. Please also let us know whether you would prefer a single or shared room – however please note that we are unable to guarantee any requests. We will inform you by the end of September whether you have been selected. If you are offered a place on this Masterclass, we will then request a deposit of £100 to secure your place. Poems will not be returned. The tutors, Gillian Clarke and Paul Farley, will select the participants based on the submitted poems, and their decision is final. If you are also applying for a bursary, please send the relevant application form with your poems (form available on request). 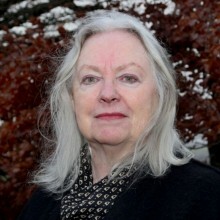 Gillian Clarke was the National Poet of Wales between 2008 and 2016. In 2010 she was awarded the Queen’s Gold Medal for Poetry, and the Wilfred Owen Award in 2012. She has published fourteen books for adults, and several for children as writer, translator or editor. Ice, published by Carcanet in 2012, was shortlisted for the T S Eliot Prize in the same year and her new Selected Poems was published by Picador in 2016. She was Poet in Residence at the University Museum of Zoology, Cambridge for Thresholds in 2014, and her most recent collection, Zoology, was published by Carcanet in 2017. 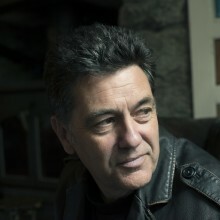 Paul Farley is a poet and a broadcaster. His first collection of poetry, The Boy from the Chemist is Here to See You (Picador, 1998), won a Best First Collection Forward Poetry Prize and the Somerset Maugham Award, and since then his work has received many accolades, including the Sunday Times Young Writer of the Year Award, the Whitbread Poetry Prize and the E. M. Forster Award from the American Academy of Arts & Letters. 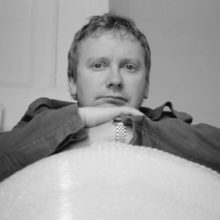 He is currently Professor of Poetry at Lancaster University, and presents The Echo Chamber, BBC Radio 4’s contemporary poetry programme.